We’re progressing through the leadership alphabet – selecting words from our vocabulary which we use to express our leadership. K is today’s focus. And I’ll be brief. In the context of leadership, I share my knowledge when I mentor, train, facilitate, coach and when I volunteer. I’ve acquired a sizable amount of knowledge from my corporate career, my volunteer career, operating my own consultancy practice and from all my studies, constant curiosity and investment in myself. Knowledge is a gift. Share it widely. What’s your K word? It’s a tough letter! We’ve arrived at one of the tough letters. The letter J.
We’re playing The Language of Leadership and I’m asking you to share your words which you use to express leadership. Each day we travel the alphabet and it’s J, today. I was initially stumped with the letter ‘J’ and then it hit me as I was putting the final touches to the running sheet of a team leadership workshop. I ask leaders to journal their thoughts about being a leader. Journaling is a reflective practice which helps leaders empty their mind of their thoughts of what they’ve achieved during the day and how they feel about a situation which occurred and how they reacted and responded. Journaling sets us up for a positive day as it fine tunes our mindset. It’s an exercise to ground us, to be mindful and get us into the present. Too often, our C suite swinging leaders are doing what they do well, steering the organisation into the future, however they leave their selves and people in the past. I regularly recommend journaling, however, I don’t always practise what I preach! And then when I do, it’s amazing to have the clarity needed to make decisions and to focus solidly on an important piece of project work. It’s also great to build by resilience. It helps put my day’s activities, thoughts and feelings into perspective. A little J offering is judging. Most of us judge a person or situation way too quickly. We don’t mine enough data to make a sound judgement. Today, pause before you talk, respond or make a decision. This morning I was up way too early, getting in my mornings work before the house erupted. My daughter Jenn needed a parent to take her to a divisional level of athletics. Given I work for myself, I have mastered Juggling my day, every day. I often struggle with the juggle, however I continue to practise the skill of juggling, knowing what to prioritise, identifying what’s really important and in particular what to drop e.g. say “No” too. How many balls can you juggle? Juggling two priorities is manageable, and adding a third becomes a skill. (Can you see the person juggling the many balls in one hand?) It takes practice to be a leader of people, a parent, a committee member, a carer etc … this is what you’re juggling. I admire those that know their values and confidently allow these values to navigate and drive these choices and make juggling look so easy! Finally, I want to add a final J word. I don’t tend to hear myself using the word, however I believe it’s a sign of an authentic leader. I admire people who avoid using jargon. What about you? What do you admire in leaders …. Beginning with J?! The letter ‘I’ leads the language of leadership in my vocabulary. I actually define leadership using three words beginning with ‘I’. I am so drawn to these fabulously powerful words which resonate so well with leadership. What about you – what’s your go-to ‘I’ word which reflects your leadership. Or, what about the leadership you admire in others? And better still, if you ask others what they hear you say, what would they tell you? Narrowing it to three words, I have selected: Influence, Inspire & Impact. This forms an organic leadership system. If we effectively communicate with people, we influence them, and we’re likely to inspire them to follow and do what we’re expecting – generally it’s about making or having an impact on the customer, community or environment. I am always asking people, who do they want to influence? And, why do they want to influence them? And then we discuss communication methods which would have a greater opportunity to influence specific stakeholders. We purposely mine for data to understand the differences in these people: how one person would prefer to know in advance the information you want them to receive and respond to and those who want the information in bullet point form on a powerpoint at the meeting. This indeed is skilled influencing and people respect you when you speak in their language. When there is respect, the door is open to inspire people. This is heightened when leaders are consistently consistent. They keep repeating the same behaviour: acknowledging everyone by their name, listening, responding on time, helping out and backing people who take risks. Consistency breeds a safe work-space. When everyone is on board, following the flow of the leadership, we start to see an impact. We start to see the change. Our impact on others can be powerful. We can positively and negatively have an impact on others. It’s all about the choice of our behaviour. So, how do you feel about the impact you have on others? Do you know the impact you are having? What are your ‘I’ leadership words? C’mon, join us as we explore our language of leadership. One of the greatest books of its time (2001) - my copy proudly sits in my office library. Thank you for reading my blog. Thank you for spending one minute of your precious time to contemplate the G words in your ‘Language of Leadership’. At the conclusion of the workshops which I facilitate, I ask everyone to individually offer words of gratitude (and sometimes a gift of chocolate) to one person who also participated. This is done publicly and sometimes there is a pregnant pause as people grapple with the courage to kick off the exercise. However, once the group feel the warmth and sincerity of the gratitude, I can’t stop them! We are void of gratitude and we need to take the lead to stop and say thank you, with context, to acknowledge the people who show up in your life. 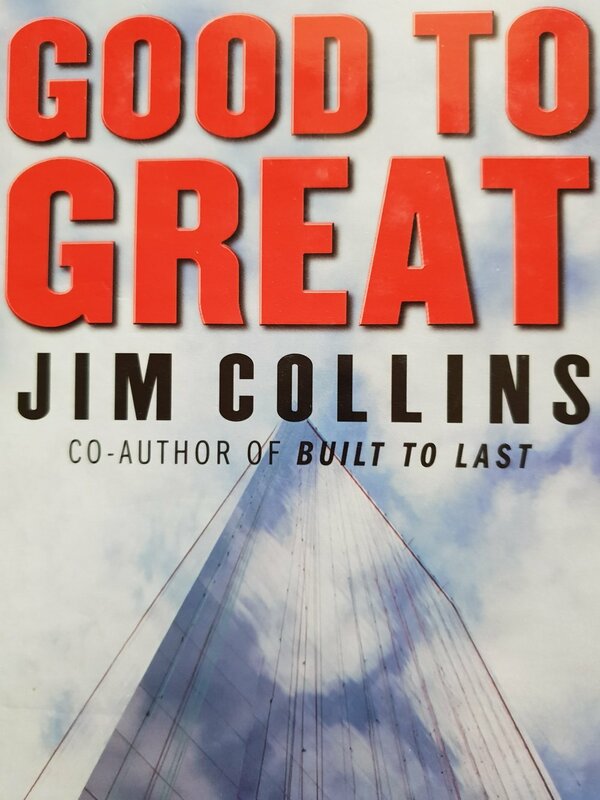 The phrase, Good to Great, is a book title. It’s notoriety is synonymous with its internal terms, ‘Hedgehog Concept’ and ‘The Flywheel and the Doom Loop’. We used this language through the ‘noughties’ in the corporate world in our bid to have: a one big thing which we did globally well and an attempt to build momentum to achieve a transformation (on numerous occasions). What has me sharing Good to Great, ever so regularly, is the statistic of the Good to Great CEO’s (13 of them) – as their uniqueness was their humility. Most of them were introverts and all but one was appointed from within the company. The key message is, leadership isn’t about bravado and ego, it’s about the company, the customer and the employee. Our use of good to great is applying and experimenting with the practices that we know work. They are tried and tested and it’s about the will to make it work for you. Gut. Yep, Gut. That’s my third G word! Do you ever hear yourself say, I can feel it in my gut or others say, “trust your gut feeling”. In my readings of neuroscience, I learnt that almost 100 years ago, neurons from the brain were discovered in the stomach – and we are still grappling with this aspect of intuition. When you can’t observe behaviour, it is difficult to believe that this can be proven. However, so many of us can honestly say that intuition guides us in our decision making! The importance of the gut is that it links to other brains in our body (yet, there’s more than one) which we can train to help us communicate more effectively. I continue to work with, explore and learn about the power we have at our disposal and challenge you to consider your gut and how it helps you make decisions. This research is worth investigating - Conversational Intelligence helps us communicate as leaderships should - to move from good communicators to great communicators! What are your G words? We're playing The Language of Leadership. Think of the F words which you hear yourself say when communicating your leadership. I'll offer a few and I'll be interested to hear your Fs! Feedback is over talked and underused. When you give the gift of feedback, whether that is to reinforce the positive or to identify what needs to be corrected, you are being courteous and courageous, all at the same time. Too often we walk past or overhear language or activity which is unacceptable. We are more than likely to acknowledge great customer service and become closed lipped when someone is being rude or intimidating. This can be due to a lack of skill, lack of confidence or it may not be safe to do so. In the workplace, feedback as a daily practice, would build a trusting, strong and ethical environment. In all the work I do, I would help people build the skill of providing feedback, more than any other skill. What does this say about our confidence, pro activeness and accountability? I believe we have a lot more work to do in this area of communication. This is a simple statement. Some people love facts. It’s a great asset to have and it’s advantageous when we’re giving feedback. Facts are favorable when providing feedback. Let’s not rely on hearsay … we know what happens when we play ‘Chinese Whispers’. Facts are useful when you’re doing your work, when applying your expertise. On the other hand, your feelings are also important. The challenge is, realising that facts and feelings are both important. Facilitation is a skill. I’ve been working on my practice of facilitation for almost 30 years (yikes!) When you facilitate a team meeting, the outcome is illuminating. Engaging everyone in the room, setting and expecting pre-work to be completed, giving back the work and ensuring everyone has a role in the meeting (why else would they be there?) makes on time attendance the norm. Facilitation is also about acknowledging that the answer is in the room – adults generally have the answer or know where to locate the information. Leaders facilitate conversations – they ask questions rather than tell. They listen to responses and respond with where to find or how to develop the solution. It's been great to have you join the conversation sharing, your language of leadership. My copy of Working With Emotional Intelligence by Daniel Goleman is 20 years old. My use of words beginning with E, in my Leadership Intelligence Mentoring practice, is endless! I think of the enthusiasm we need to bring change alive and the effort required to adapt our approach and style of leadership if our default style isn’t effective or appropriate. Emotional Intelligence takes the lead of the Es! The term has its roots in 80’s psychology, and today we are still experimenting with the exercise of connecting with our emotions in addition to our thinking. Taking an extra moment to consider why people respond a way and listening to their language lifts the heavy weight of recognizing what’s going on in someone’s world. As Dale Carnegie said, when dealing with people, remember you are not dealing with creatures of logic, but creatures of emotion. What differentiates people are those who can connect on an emotional level – those who can gauge the feelings people are experiencing and how this impacts their work and relationships. And even more importantly, it’s the ability to self-correct – to change your course of action mid-stream as you sense you’re not achieving the outcome being expected. Experimentation is one of the most frequently used words I use. I encourage my clients to change their behaviour, to apply their learning and give it a go. We too often sit in meetings, seminars and workshops, we’re asked to change yet we don’t take it to the practice ground. Experimentation is normal, it’s expected, and it reeks accountability and leadership. Tell people that you are experimenting and seek their feedback. Maybe it doesn’t work and maybe it’s the missing link you’ve been searching for as a leader. What can you experiment with today? Is it saying “No”, is it giving constructive feedback or is it ‘giving the work back’? Go on, experiment with a change in your leadership approach. And, report back on how you evaluate the outcome. Evaluation is just as important as experimentation. If we don’t know how we’re progressing with our changes, adaptations and experimentation, then we don’t know how effective we are being. Too often leadership and associated skills are the ‘soft skills. They have a lack luster following because we don’t show the impact, the difference that our personal and professional leadership does to grow business. Self-Assessments, audits, 360-degree feedback and evaluations are all accessible and useful to lift your leadership to a new level which will have an impact on others, will help you inspire more followers and help you influence change. What's your go to leadership word beginning with E? You can catch up on my previous blogs on the The Language of Leadership - on this page. Today is D day. I have many Ds to share and I have selected three to add to our Language of Leadership. Diversity – it’s great to have diversity in your team. This doesn’t mean ensuring that there’s a balance of gender, generation, ability and disability – that’s a given. How I see diversity is a diversity of motivation. If everyone you lead are motivated to help people, then you will struggle with the paramount need to meet to accomplish new projects or ensure that the diligence of the project analysis is completed. If you could build your own team, seek out what is important to people. Ensure you select those who see the world differently to you; ensure you can give trust to these diverse members to individually contribute their various skills, views, concerns and strengths. Direction – in a world where collaboration, co-operation and co-creation is expected, we’re seeing a lack of direction when people are looking around for someone to take the lead. Direction doesn’t need to be applied in an authoritarian style, but in a manner which people understand and can make sense of; how it connects to the purpose of their role and business. Discussion is more than a dialogue. In our time poor management of our day, we allow dialogue to fill it e.g. meetings. A discussion should have a desired outcome stated up front. For example, I need to understand what your expectation is of my involvement in this meeting. I use a model to help people decide about the communication process they need to use dependent on the situation, context and audience. Too often we use the wrong process and we wonder why we don’t achieve what we’re expecting! Did you catch my A, B & C blogs? You can locate these in the Thoughts section of my website. Which C words come to mind? There are so many C’s in my Leadership Language: conversations, climate, conflict and confidence are at the tip of my tongue! What are the C’s in your leadership vernacular? I’m playing a game to facilitate ideas, thoughts and beliefs on leadership. And, I’m curious to hear what people hear themselves saying about leadership or how others describe their leadership. I’m sure many will say communication – it’s a gorgeous broad term and I carve it into so many components. To begin with, I believe leadership is all about Conversations. Conversations bring people together; they formulate relationships and craft futures. Conversations come in various forms; they can be brief (feedback) and endure for hours (meetings, mentoring, coaching). The more time you spend having conversations with people, the more opportunity you have to gain respect which then creates trust. For some, conversations come naturally whilst others it’s a challenge. My tip do your research on people and be curious to explore what you’ve discovered – ask great questions as the conversation is all about getting to understand the people. Climate is the vibe I feel when I walk into a workplace. It’s the gut feeling I have when I have conversations with people. It tells me more than the culture as it’s the unspoken words – it’s the litmus test for the words on the wall in the reception area. A mission and vision statement might try and sell me what an organisation does whereas the climate will tell me if the people feel happy and respected where they work. Take the temperature of your office today! Conflict tells us what is important to people. Leaders need the capability to know when to intervene and help people move out of conflict or better still, know people so well that they know what drives them to conflict – the triggers, the situations and the behaviours. We all experience threats to our self-worth, it’s characteristic of the cause of conflict. And this threat can be real or perceived. Managing conflict is a critical capability (double C!) to lead teams to success. Confidence is what I hope all people can grow in their lives. Leaders need confidence to successfully do their role and leaders need to foster confidence in their people. Confidence is like climate – you can’t quite put your finger on it. I am reminded by family friends of how shy I was when I was younger, and it took effort and energy to focus on manipulating this confidence. I still work on it and sometimes I am too confident – so it’s always an area I am shaping and developing. What C’s have I missed? What C’s are important in your life; in your role of leadership? Have you read my two recent posts - catch up on the A’'s & B’'s of Leadership? You’ll find these under the THOUGHTS section of my website. When you talk about leadership, what are your go to words? What is your ‘language of leadership’? In a series of blogs this month, I am exploring how I see leadership and invite you to consider your choice of words and terms which describe your style of leadership. Using the order of the English alphabet, I will share my selection of words daily and my reasoning for these choices. Today the letter is B! B is for behaviour, brand and best. There is no right or wrong in the selection of the words; the goal is to broaden your thinking about your practice of leadership. 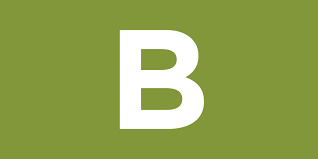 Join me in my game, ‘the language of leadership’ and offer your ‘B’ word. Behaviour – it’s what we do and say that encapsulates your drive, beliefs, intent and purpose. People look to you and seek consistency in your leadership – how you communicate with people, how you self-motivate and regulate and how you deal with conflict and crisis. For me, the focus on behaviour is critical to moving from a good leader to being a great leader. Focusing on your behaviour starts with analysing how you see yourself – how you think and feel your behave in a variety of situations. Secondly, it’s about auditing your analysis, by being more self-aware – is what you think, a reality? And, how satisfied are you – what changes would you like to see in the outcome of the way you behave? Maybe you need to dial it up more or dial it down. Finally, ask for feedback about your behaviour. Ask specific questions about what you want to address and ask more broadly to capture what’s not obvious to you. For example, is there something I do which annoys the team, that possibly contradicts what I ask and expect of you/them? You need to build your brand. Brand – when colleagues, the chiefs and your crew describe you, what do they say? When you’ve left the office, how do they describe your membership of the business and team. Curating your leadership brand is a strategy you can implement and possibly control if your reputation is important to you and your company. To get you started, consider key descriptions of your style of leadership. Record these and be alert to when they show up. And, what are the situations which you live out these descriptions? If you are confident, then openly express that this is your brand. Talk yourself up and ensure you deliver. Best – I’m a woman from the ‘80’s and we were always looking out for the best practice in service, design and delivery. My focus hasn’t changed – I am always wanting to improve my game and to update my knowledge of my leadership profession. We also talk about ‘bringing your best self’ which is simply a pause and reflect action to clear your head and consider the voice in your head (who’s driving your bus today) and how you’re planning on behaving in your various roles. You do have a choice. I’ve only heard myself say, they bring the worst out in me, a few times in my life and I know I’ve lost control and almost given up! What I prefer to hear is, ‘they bring the best out in me’. Find the people who help you be your best – they are the companions you want for life. What’s your B word contribution? I’d love to hear your point of view. And of course, tomorrow is the letter C. Join me and play the game ‘’The Language of Leadership’’. During October 2018 I will play The Language of Leadership - working through the alphabet identifying words which are important in leadership. This first post is the letter A - three words I believe are important are: action, assumptions and attitude. Don't you wish you created the iPad, Uber, AirBnB or any of these disruptive businesses? Not for the money (well, that would be great) but for being part of making enormous positive change to the lives of people around the world. Or, maybe not. Maybe you prefer the status quo? Airbnb the classic 'disruptor' - only 10 years old and they have put the accommodation business on it's head. I consider myself to be an 'Uber' type of person - I was an early adopter to the iPad, I've had my family home on AirBnB for five years and I work for myself helping people lead others into a more effective and productive future. I came across this 'Uber Moments' term when I decided to learn more about Agile and Agile Leadership. If you're interested to learn more yourself, I highly recommend the following two books which I discuss in this blog. The expectation of our leaders today is becoming a challenge to define. We have businesses, communities and societies operating at different speeds, some behaving as if it’s still 1980 and those who are prepared to travel to Mars in 2030. Whether you like it not, we are being disrupted every day; we might not know it, we might be ignorant, but we are living in an era which is seeing norms being challenged, competitors changing rules and the rise of a generation who are seeking flexible and evolving ways of working. Gone are the days of waiting patiently – we can almost guarantee if we don’t keep up with people’s expectations, we’ll be out of business whilst the competitor pivots and responds quickly to fresh ‘uber moments’ threats. So, here’s something to consider: if you don’t speed up your leadership, and be what is expected of you, you will become a redundant leader. The language we are speaking about is the requirement of being Agile; an Agile Leader. I’ve taken my curiosity to a few books, TED Talks and Podcasts to explore how Agile Leadership fits into and expand my breadth of Leadership Intelligence. I wanted to determine if it’s a new term or just a synonym; is it a phase which easily replaces what we’re currently doing, or should we be on high alert to another reason or need to change, the need to feel uncomfortable, take our socks off and speed up our action. This is the perfect opportunity for the digital natives out there to take the lead and show us folk representing other ‘generational ages’, what it means to work agile-ish and how they lead people in the amazing new businesses in this busy complex world. Lynne Cazaly, author of Agile-ish – How to create a culture of agility has been working with people in the Agile space for years and in her easy-to-read book, she has served us the entrée to the meal of being Agile. Easy does it, not too much, just the right amount of information to determine if we could apply for the jobs which want: Agile Leaders. In our fast-paced world with changing contexts, transformation is the new norm. However, we are stubborn social beings and often believe we don’t need to change. Sorry to tell you, you do. Well, actually, Lynne tells you that you do need to change and one of her processes will swiftly get you into gear: ask, listen, talk, think, practise and change again. That’s your newly created daily mantra to be a worthwhile contributor to this agile movement. Involve – you need to start thinking about the customer, empathize how they feel and think, want and need, to get your mindset right – it is all about them, not you! 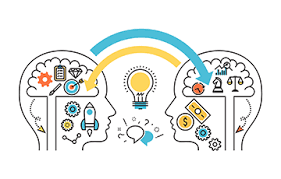 Ideate – when you know what your customer values, you then need to come up with ideas, not just you, the team that you involve as we know that more heads are better than one. Iterate – have another go at producing what you thought the customer wanted, change it up, it’s OK if you stuffed up the first batch. As Lynne says, are you tinkering or transforming … the latter is your goal. By experimenting with this approach, you are demonstrating the behaviour which creates the culture of agility. Unless you are a start-up, it’s highly likely that you’ll need to work on your culture which fosters this linkage to the customer and speed to being of more immediate value to them. Simon Hayward, author of Connected Leadership (2016) – How to build a more agile, customer-driven business forewarned us that we must be more agile to lead businesses in this complex world. He produced a model with five distinctive spheres which his PhD research identified, with one sphere being agility. I have used Simon’s connected leadership model with many clients to transform how they were leading their businesses/teams. 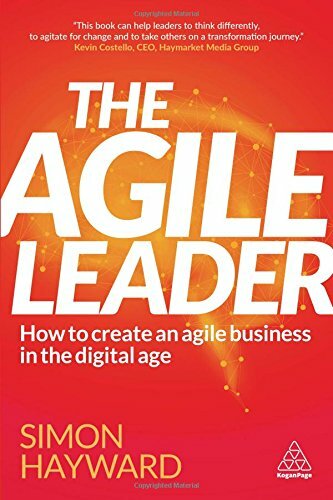 Simon has taken this Agile component to the next level and produced, hot off the press, The Agile Leader – How to create an agile business in the digital age, to explore this practice as a style of leadership. In his ‘main meal’ offering, Simon promises to differentiate the leadership required of leaders who’ve been in the game for a few years. We have a society of bright well-educated individuals who need to be given the opportunity to run with ‘that project’. It’s rather easy for them and more likely challenging for you to ‘let go’. Having an agile foundation, giving trust, checking in daily briefly, is the start of being an Agile Leader. The ‘command & control’ style of leader, who still populate our world, will struggle to imagine how this can operate given the risks and governance which squeeze the life out of people. It probably makes sense why so many ‘start ups’ start up – they want to cut the bureaucracy out of the plan and get direct to the customer quickly. At the heart of this Agile Leadership is the Agile Paradox - helping people collaborate and be involved yet at the same time disrupting them to think and operate differently. Simon emphasises that to lead agilely, you need to enable and disrupt at the same time. Another aspect of agile leadership stood out for me, ‘put people over processes and tools’ which is the first of several Rules of Agile. With what would appear as a ‘management style of working’, this refreshing statement is paramount to be a leader, well before the Agile Leader description was coined. What kept me reading, were the many case studies Simon shared. These stories brought the whole Agile Leadership alive. These included: Zara, AirBnB, CDL (UK), Three (UK), Facebook, and a little closer to home, The All Blacks. Probably the most famous rugby team, the All Blacks team were analysed for their agile approach. Two strategies were identified which they employed which set them apart from other rugby (sports) teams – they win and work as a team. And the other notable practice is their ability to self-manage as a team. Having the skills and confidence to define together how to deliver the outcomes for the next ‘sprint’ oozes responsibility for their performance. They have transparent tough discussions about individual and collective performance which is anchored by respect and trust to enable them to continually ask: How can we do what we do better?” This is an enabler (leadership) and a disruptor (agile) – challenging behaviours and not settling for a comfortable level of co-operation. This is all about choice. I have gathered so many insights after reading these two agile books and I have made a choice to share this information with you and several of my clients. I highly recommend you choose to learn more about agile leadership or share your agile practices with your clients, colleagues and dare I say, competitors. It’s for the greater good and who wants to be left behind – let’s design together, how to see around corners! Well-being builds your leadership. Being self-aware, you take more notice of your behaviour and how this shows up in how you lead your life. We demonstrate five ways that we help people put their well-being centre of attention and how this will show up in leading a more effective (and happy) life. The secrets to making it through Dry July! What’s the most memorable behavioural change you have made in your adult life? Can you answer this question? Quickly? Probably not. 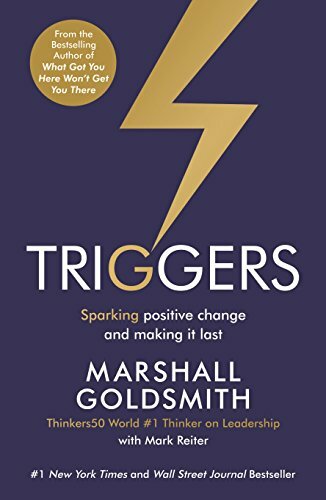 That’s the reason you may find this book useful and interesting as Marshall Goldsmith will help you understand why it’s almost achievable without help. Your essential leadership manual for 2018 - Leadership Results guides you to take your organisation to one known for showing leadership and comprising of high performing teams. Tips, techniques and research to help you take control of your sleep. If your sleep is cracked or broken, then your well-being is sabotaged. 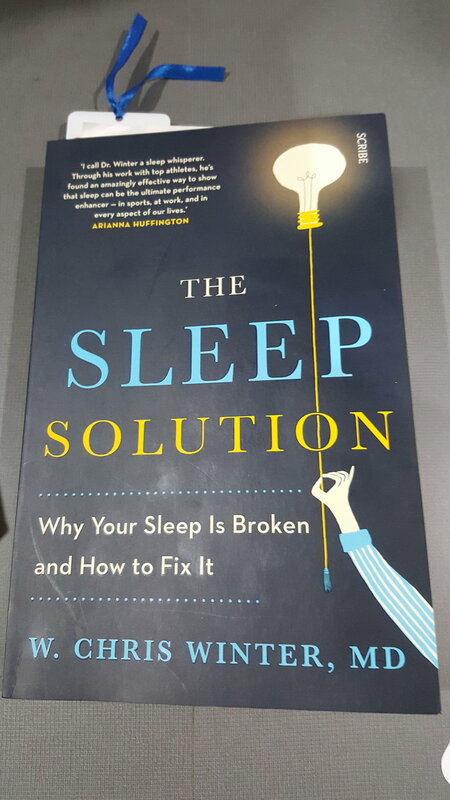 this fun to read book provides guidance on how to fix your sleep. A handbook for anyone responsible for the change in their organisation. 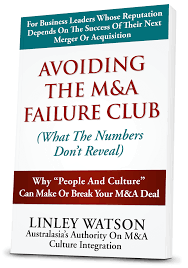 Whether that change is a transition, transformation, merger or acquisition. It's time to focus on the people first, rather than the profit. 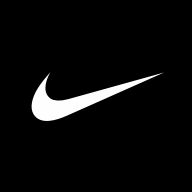 With children who are easily targeted by media advertising, we have a wardrobe of NIKE. Tops, pants, socks and of course, shoes. My daughter Jennifer is so obsessed with NIKE, that she thought the book was for her when I showed it to her! Impressed, yes. Yet, at 10, I’m not sure if it will be of interest to her – especially when there are no photos of NIKE products. On the contrary, I became quickly immersed in a beautifully crafted story of a man with a big vision, crazy idea and a passion for running. It’s a long story too. There is no overnight success and it doesn’t have a totally happy ending. 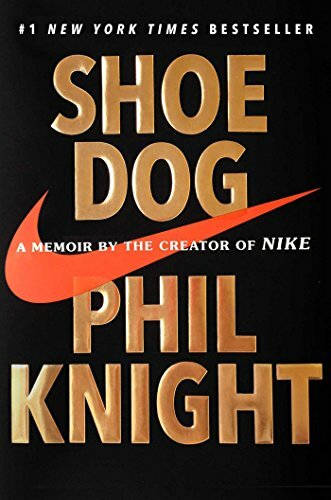 Out of adversity, there is still an empowering and indeed an organisational story which had me reading at any opportunity to understand what drove Phil Knight to keep going. It began in the early 1960s where on paper, Phil graduated from the University of Oregon College, Stanford Business School and a stint in the Army yet, in the flesh, he still felt like a kid at the age of 24. He knew he wanted to be successful, purposeful, meaningful, creative, important and above all, different. He didn’t want to lose. But he didn’t know at what. Doing what he loved best, running, his crazy idea came to him. Play. Do what makes you happy and feels like play. And like running, just keep going. Don’t stop. Just don’t stop. This advice anchored Phil for the following fifty years. It's tough to imagine his strength to keep focused as this was a story of business hell - continually chasing cash to fulfill the orders of good running shoes, convincing people to believe in his dream and spreadsheets. Phil’s father gave him $50 to purchase his first box of Japanese running shoes to sell from his car. However, his father never really understood his entrepreneurship which wasn’t respected as a ‘profession’ let alone valued in the 60s & 70s. This and sadly, the death of his son Matthew (Scuba diving accident) took the edge of happiness out of Phil’s life. With all the money in the world, these deaths curtailed the life of comfortable happiness which Phil was always seeking. I have since found myself fascinated with Phil’s life. He must be one of the most private billionaires on earth, however from what I have uncovered, he has since stepped down from the Chairman’s role at NIKE (he’s 79), stepped up his philanthropy, donating $400 million to Stanford where he did his MBA. He also has a daughter Christina – which isn’t mentioned in the book and one guess is she was adopted as a teenager which would have been outside the timeline of the Shoe Dog story. I have put Shoe Dog on my list of favorite Biographies, Autobiographies, and Memoirs. This was more than an account of success, but a life story showing the reality of achieving success.